Although the 2018 open enrollment period has ended in the state of Michigan, you may still be able to get health insurance coverage if you had a certain life event happen. These events include but are not limited to: occupation loss, newborn, marriage, moving to a new place, or turning 26 years old. You may also qualify if you are eligible for Medicaid or CHIP. Check out any reputable Michigan health insurance company to find out if you can still enroll in the special enrollment period. Take action now because you may not have too much time to spare should you be qualified. If you are not qualified and cannot obtain health insurance coverage for the 2018-year, you will more than likely have to pay an additional fee when you file your income taxes. In 2017, the fee for each adult was close to 700 dollars and for each child it was close to 350 dollars. In 2018, the fee is likely to be increased. Make sure you sign up for health insurance coverage for 2019 so that this does not happen to you again. The start date of the 2019 enrollment period is November 1, 2018. There are two major kinds of individual and family plans. They are HMO plans and PPO plans. HMO stands for Health Maintenance Organization and this kind of plan gives you access to specific doctors and hospitals within its network. If you have an HMO plan you can only see doctors that are within the network otherwise you will have to pay out of pocket as out of network doctors are not covered. There are usually more restrictions with HMO plans but they are cheaper and the deductible are usually low or there could be no deductible at all. With an HMO plan, you may need a referral to be covered when you see a specialist. A PPO plan stands for Preferred Provider Organization and it also has a network of doctors and hospitals but the rules are more flexible and manageable. You can visit doctors or hospitals out of the network without being charged. Premiums are higher and there are usually deductibles with PPO plans. There are more benefits with PPO plans. If you are trying to decide between a Michigan health insurance PPO and HMO plan consider the following: the availability of the HMO network in your area, and the amount it will cost. When you are considering health insurance plans, make sure to get several different quotes outlining the details of different health insurance plans. Also, it is recommended to obtain quotes from different health insurance companies so you can compare and contrast company, price, and plan. With all that information, you will be able to make a valid decision on what plan best suits your needs and your wallet. Additionally, research health insurance companies to find out if they are in good financial standing. You are giving the health insurance company money each month (called a premium) so that they cover you in health care related expenses. So it is important to know that the health insurance provider can afford the benefits outlined in the Michigan health insurance plan. There are also health resources available for residents in the state of Michigan. There is the Department of Community Health that has resources for health care in Michigan for adults. Healthy Kids is Michigan’s health care resources for children. Michigan’s Long Term Care Information may help you plan for long-term care. You can find out about all these resources online. 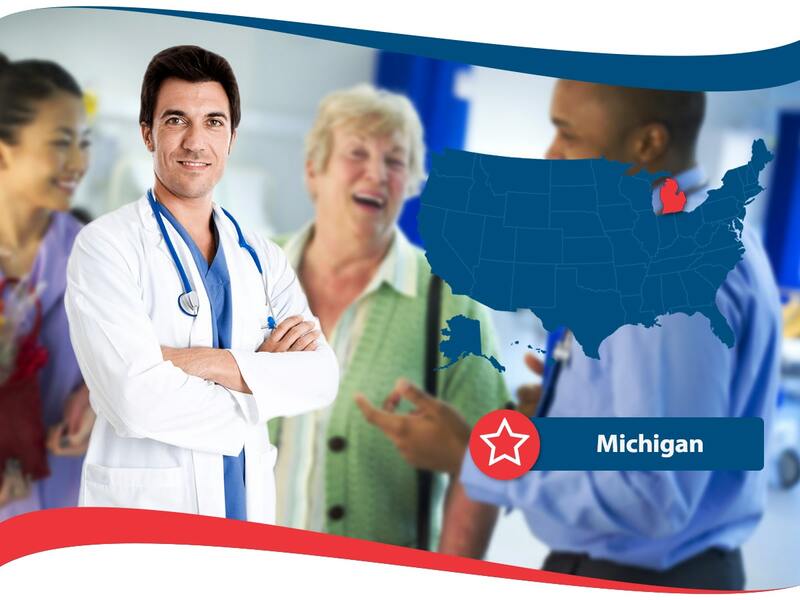 One great company that can help you obtain excellent health insurance coverage in Michigan is American Insurance. American Insurance strives to have the best customer service and has trained professionals and agents ready to help you with any questions or concerns you may have. Call or visit American Insurance on the web to find out more information about how they can help you find your ideal plan. As there are many plans available to the residents in Michigan, asking an agent to assist you may be one good way to start your search for health insurance coverage.